SSL means Secure Socket Layer. If you collect sensitive information on your website or sell products online you may want to use a SSL Certificate. 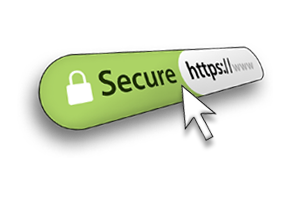 We offer SSL Certificates with up to 256 bit encription. What does that mean? That means we offer the latest technology in secure connection from your customers browsers to your web server. Customers today are very much concerned about security when they enter information such as credit cards when purchasing online. So it is important to provide that security on your website. When do you need an SSL? In most cases you will need and SSL if you have a shopping cart, thus selling things online. It is a requirement for most merchant accounts if you are accepting credit card payments directly. Also you may need a SSL if you are collecting medical information on your website which is a HIPPA requirement in most cases. You may also need an SSL if your site is collecting sensitive information such as legal information. If you are not sure you need ask one of our technical support reps and we will gladly assist you. We currently offer three different type of SSLs. We have standard turbo SSL mainly used for a single website. Wildcard SSL is used if you have multiple sub domains you want to secure and then we have UCC SSL which can be used to secure multiple related domains.